Honoring Ruth "Boomer" & Bill Weinstein. Registration for this event has closed. Please contact Sophie at shearne@jccgb.org for more information. For more than twenty years, Ruth was a partner in a graphic design and advertising studio overseeing client relations and developing new business. Bill has more than 30 years of experience valuing, managing, acquiring, operating and selling businesses in challenging circumstances. Bill was founding partner and principal of The Ozer Group, which developed a wide array of business units including valuation services, asset-based lending and acquisitions. Ruth is a member of the JCC Greater Boston Governing Board.Bill currently serves as co-chair of Our Campaign to Re-imagine the JCC, and chaired the Re-Imagine 2.0 committee. Bill and Ruth helped establish the Jonathan L. Samen Hot Buttons, Cool Conversations Discussion series, and Ruth has served as Chair since the program's inception. Ruth served on the committee of Boston Medical Center's Food for Thought dinner, a fundraiser for the hospital's Grow Clinic and Food Pantry. Ruth also volunteers weekly at the Jewish Family & Children's Service (JF&CS) food pantry and is co-chair of The Freshman Fifteen Boston, an organization that provides dorm and school supplies to economically disadvantaged incoming college freshman. 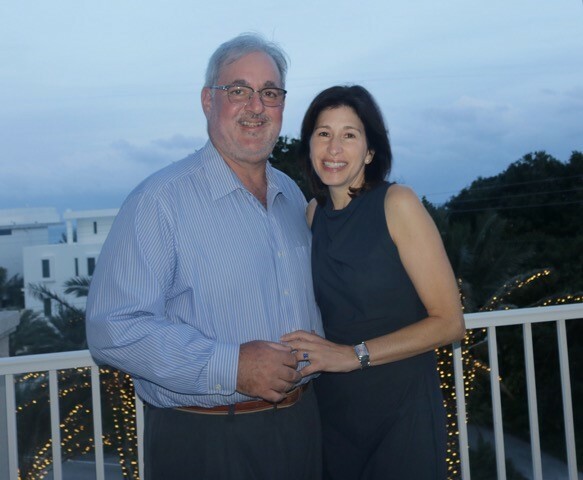 Bill has been a Board member of JF&CS for the past four years, and currently serves as Treasurer. At Temple Beth Elohim, where the Weinsteins are members, Bill is a member of the Endowment Committee. Bill previously served on the Leadership Council for Boston Medical Center. Ruth graduated from Brandeis University.Bill graduated from the State University of New York at Albany. Ruth and Bill have one daughter who recently graduated from Hamilton College. They are thrilled that she is living and working in Boston, doing development work for Dana-Farber Cancer Institute. Program book ads are due by May 11. Full page ads are 5"x8." Half page ads are 5"x4." Please email your tribute message, or image as a PDF or jpeg (black and white) to golf@jccgb.org.